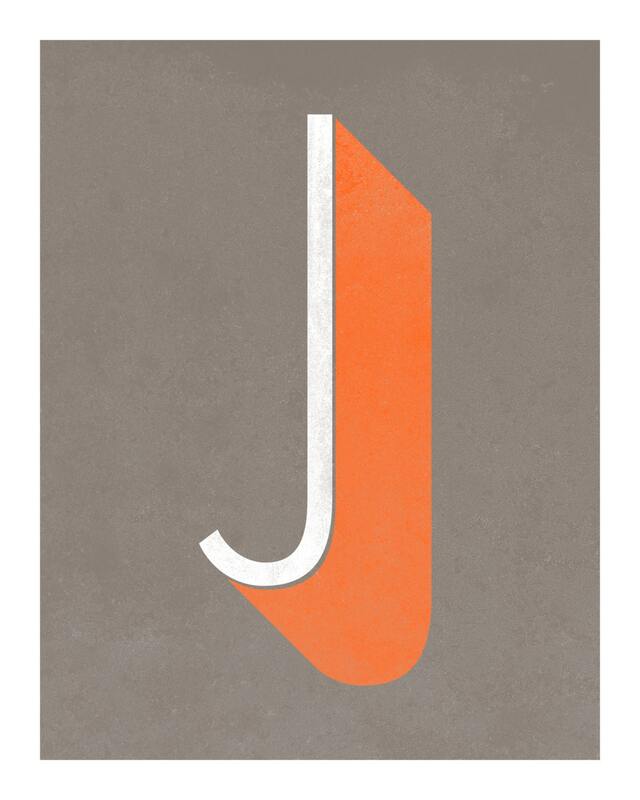 J is for...Jake, Jill, John, Jasper, Jean, Jim... 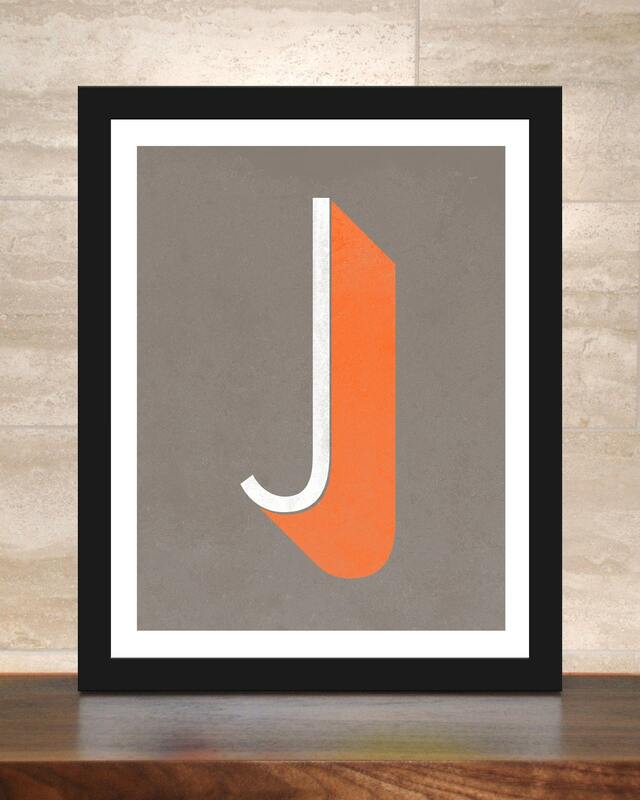 The Letter J is printed in white with a huge orange drop shadow on a warm gray background. 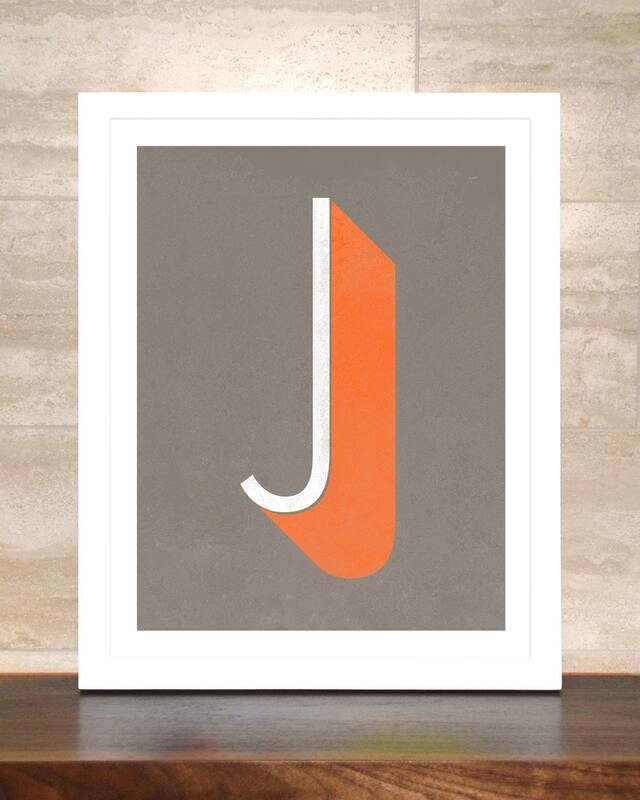 Light digital "distressing" has been added to give the print a worn, retro look. Beautiful print! Excellent communication. Looking forward to my next purchase with Cindy!